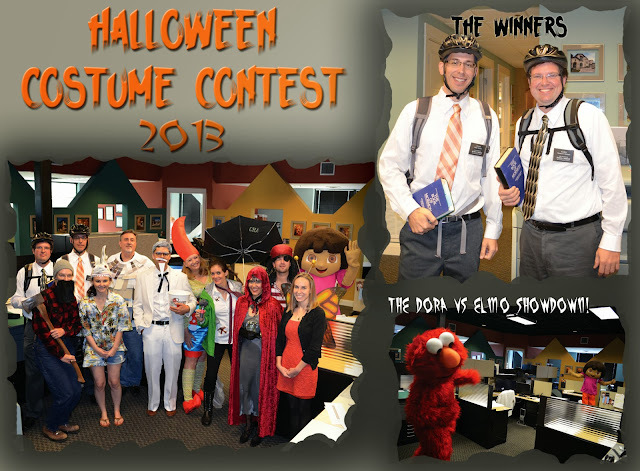 A week ago today, things got a little weird around the office...it was our annual Cornerstone Halloween Costume Contest! The competition was fierce with everyone who participated, but when all the votes were tallied, the results were: In an extremely close battle for second, Dora came out ahead and KFC's own Colonel Sanders took third, while Adam and Brian made history with the first winning couple's costume! Elmo showed up later, and apparently this created some drama with Dora...it was all caught on camera below! 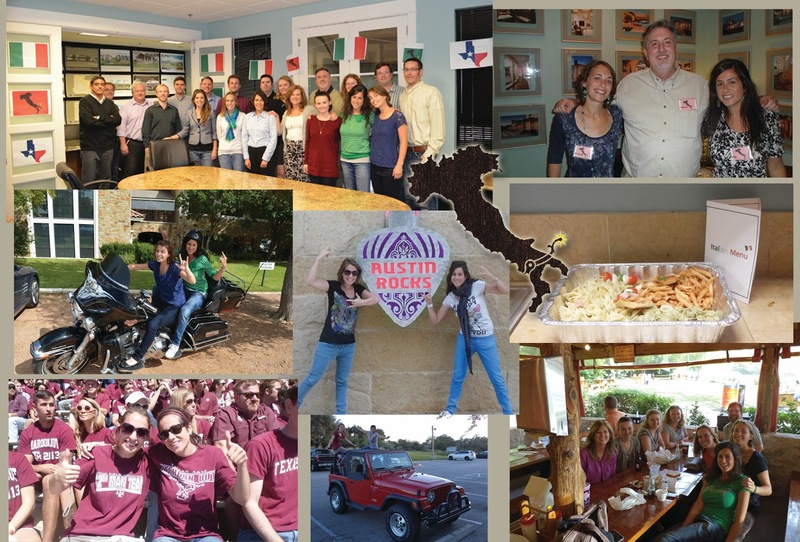 Our wonderful interns from Italy have only been gone a couple of days, and we already miss them terribly! Benedetta and Sofia came to visit during the month of October, helped us immensely in the office and had the opportunity to experience good ol' Texas...everything from South Congress and the ACL Festival to a Texas A&M football game and the Alamo in San Antonio! They were even kind enough to cook and host an authentic Italian feast/Spaghetti Western for us one afternoon, and it was AMAZING! We had such a great time with them, and hope they did as well. Can't wait to see y'all again soon...maybe in Italy next time!